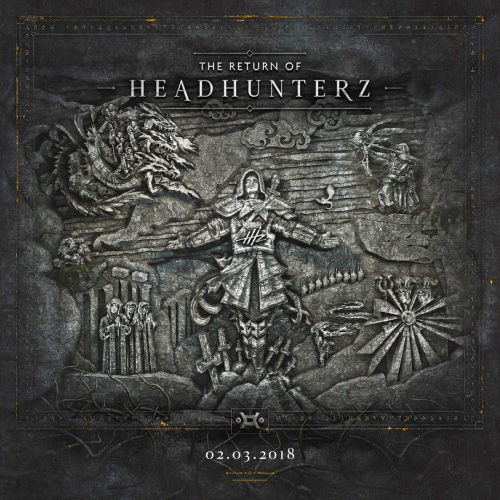 Date: 2.03.2018 | Techno, Hard | Tags: Art Of Creation, Be Yourself Catalogue, Headhunterz, Continuous Mix, Interlude, Sub Zero Project, Wildstylez, Noisecontrollers, Sound Rush | Download Headhunterz - The Return Of Headhunterz (Incl. Continuous Mix) (2018) for free. It took a while, but Headhunterz has finally announced the release date of his mini-album. Short after Heady returned to hardstyle last summer, he also told that he was coming with a new album. But when, was not known yet until tonight. Headhunterz visited Dutch radio station SLAM! together with colleague and friend Wildstylez tonight, where they were talking about Art of Creation. One of the releases that is going to happen on their brand new label, is obviously Headhunterz long awaited album. Mister Hard With Style premiered live in the broadcast that the album will be released on the 2nd of March. Headhunterz commented under his post the hardcopy of his album will be available soon.